The Vanhankaupunginkoski rapids are a popular fishing spot. Photo: Roy Koto / City of Helsinki Material Bank. The fish fauna of Vanhankaupunginlahti is typical for a eutrophic bay. In addition to typical bay fish, Vanhankaupunginlahti is regularly visited by fish migrating up the river Vantaanjoki to spawn: salmon, trout and whitefish, which spawn in the autumn, as well as cyprinids that spawn in the spring, such as vimpa bream and the rare asp. Similar to eutrophic bays, Vanhankaupunginlahti has large populations of cyprinids, such as bream, silver bream, roach, chub, ide, tench, crucian carp and Prussian carp. The quickly multiplying Prussian carp is classified as an invasive species to be combated. Fishermen may also sometimes catch impressively-sized common carps in the area. Common carps have been planted in the area since the 2000s. The area’s most common predatory fish are the zander and the perch. Pikes and burbots are few in number. Vanhankaupunginlahti is home to one of Helsinki’s three important zander populations. This young fisherman has caught an impressively-sized asp. Photo: Juha-Matti Hakala. 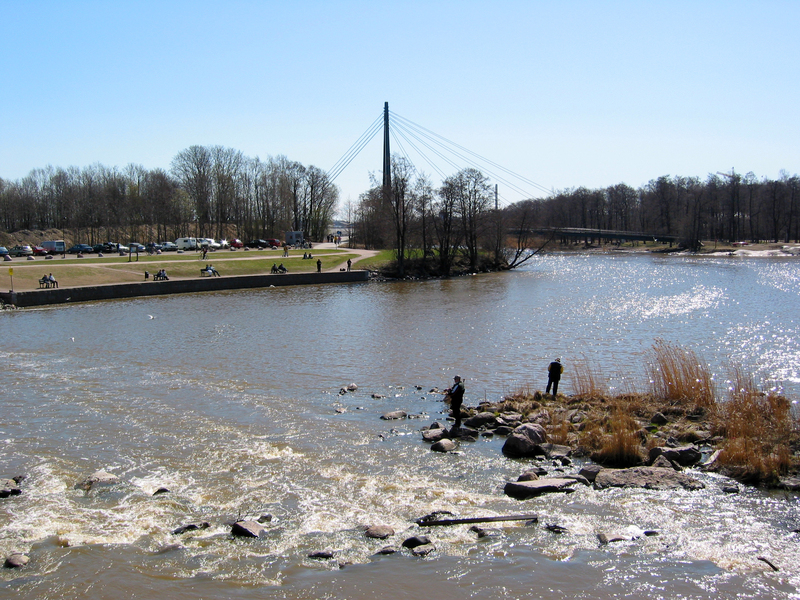 Vanhankaupunginlahti is a popular recreational fishing location, both in the winter and during periods when the waters are unfrozen. The use of fish nets is prohibited in the area for most of the year. What this means is that fishing with stationary nets is only allowed during the winter period, starting on the noon of 1 January and ending on 31 March. However, the setting of fish traps is allowed all year round. 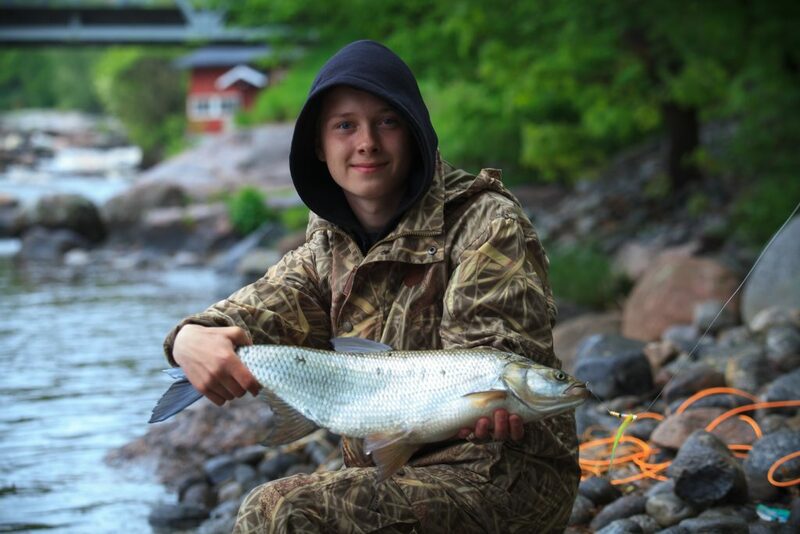 In the summer, the Vanhankaupunginlahti area is a popular spot for trolling and hook-and-line fishing. Fishing in the nature reserve is prohibited when the waters are not frozen in order to ensure peaceful nesting conditions for the area’s birds. The borders of the nature reserve are marked with buoys in the water area. More information on fishing in the area of Vanhankaupunginlahti and the Vanhankaupunginkoski rapids can be found at the Meri-Info information point. The information point also sells fishing permits.